Why would the liberal billionaire want to fund expansion of online voting in the U.S? Could it be that he wanted to give his cohorts easier access to rig the U.S. electoral process? The online voting plan was documented in a 67-page hacked file detailed a Sept. 29-30, 2014, Open Society Foundation U.S. Programs board meeting in New York City. The board meeting was dedicated to using methods of the foundation’s U.S. Programs (USP) to further the use of Obama’s executive orders to bypass Congress during Obama’s final two years in office. •Direct Health and Human Services to ensure that the federally facilitated health-care exchanges created as part of the Affordable Care Act (“Obamacare”) incorporate voter registration opportunities as required by the National Voter Registration Act (NVRA or “Motor Voter Act”), and direct federal agencies to find ways to increase voter participation nationwide. Previously, we looked at how seemingly easy it was to hack the election in an article we put out on Hillary’s election fraud. NBC has since admitted that election fraud is possible. It’s also been leaked that Soros wanted to get his hands on the internet as well. This, combined with wanting to use Obama’s executive action to expand the very insecure online voting and e-voting machines paints a picture about Soros’s hidden intentions for both America and the world. 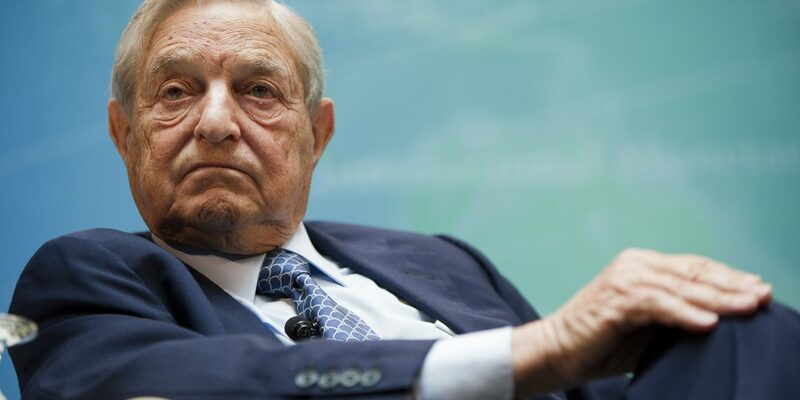 It was also revealed that Soros wanted to fund EU elections. George Soros is being exposed, and with him so is the plot that was once a “Conspiracy Theory.” The New World Order elite are in a panic realizing that while they can control the mainstream media, they can’t control the conscious resistance that has spawned on the internet itself and taken life in the form of the alternative media. There is a new problem and one they never counted on – hackers exposing them, and whistle-blowers playing both sides of the coin, watching, waiting, leaking information, and remaining by their side until the right moment to strike.